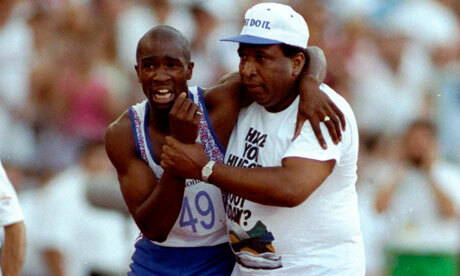 Derek Redmon’s father carrying him across the finish line in 1992 after an injury. S0 touching. Dominance in sprinting by Michael Johnson in 1996. This fellow Texan made his hometown of Dallas proud! Flo Jo. Just a fun name to say. The 1984 Men’s Gymnastic team gold medal. A few weeks later I met the team members when they toured the Irving Mall (Irving, TX). The 1984 basketball team, which was the last college team to win a gold in basketball, before the pros started competing. My favorite player at the time, John Koncak of SMU, was on that team. A young guy named Michael Jordan was pretty good, too (you may have heard of him). 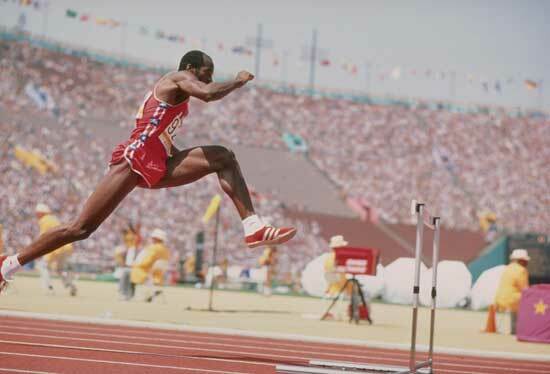 By far, the 1984 Olympics in Los Angelas made the most impression to me. I was nine years old, and had never seen the Olympics (the US boycotted the 1980 games in Moscow). It’s fun 28 years later seeing my 8 and 10 year old boys discover the Olympics.